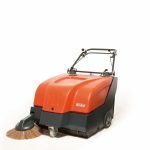 The Sweepmaster P800 (petrol) and B800 (Battery Electrical) models are manoeuvrable, high performance and compact vacuum sweepers. Larger than the 650 model this is for larger areas; 3,350 m2/h. 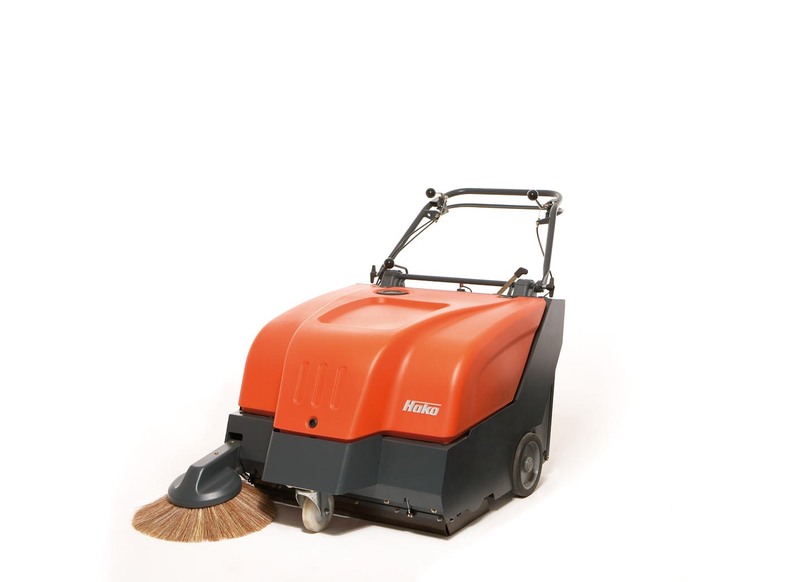 A sweep width of 670mm without the side brush and 870mm with it makes this a serious sweeping machine. A sweeping speed of 5km/h and a big twin 25L hopper configuration (50L in total) help the efficiency of use. With the handle folded up the space required for this machine is 1 m3.